In the endless debate over “Who is the best Batman?” a strong case can be made for someone most people have never seen: Kevin Conroy. Conroy has been the voice of Batman since Batman: The Animated Series in the 1990s, though all subsequent appearances of the character in the various Justice League series, and in the majority of Batman’s animated films (beginning with Batman: Mask of the Phantasm in 1993). Conroy also voiced the character in the Batman Arkham video games, without a doubt, the best comic book video games ever made. IGN has put together a list of the best of Batman’s animated exploits (most of which have been voiced by Conroy), and his batting average in animation is at least as good (if not much better) than his success rate in live-action films. My favorites are Phantasm, Sub-Zero, and Under the Red Hood, but which of Batman’s animated adventures are your favorites? What did you think of IGN’s list? 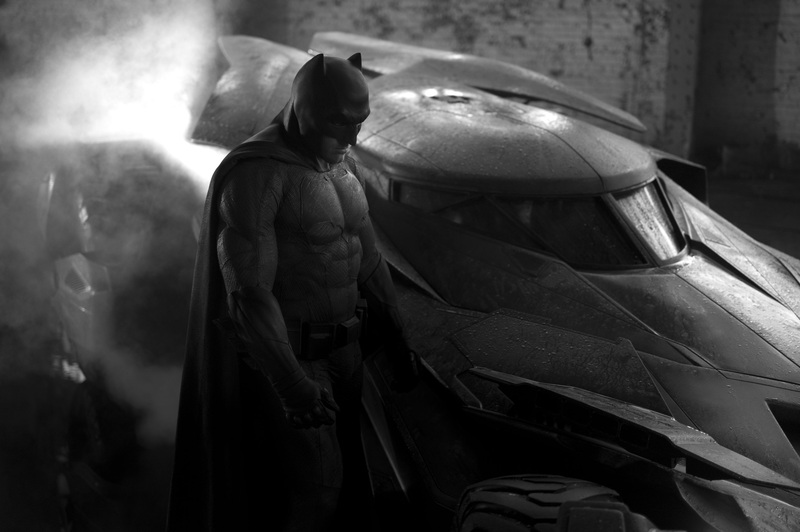 First Look at Ben Affleck as Batman and the Batmobile from the Set of Batman vs. Superman! Zack Snyder redefined “Twitter Bomb” by Tweeting to fans both their first look at the new Batmobile and of Ben Affleck in the new Batsuit. 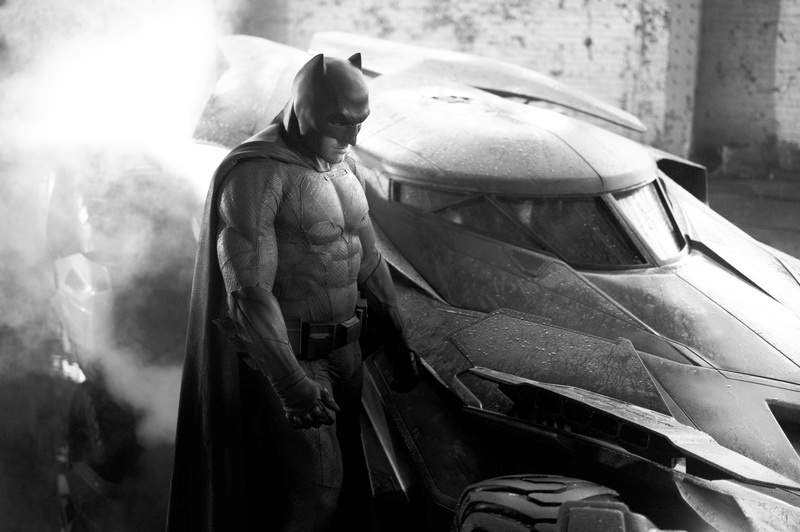 You can click on either photo for a HD version that shows more detail, but clearly Frank Miller’s Dark Knight Returns is a huge influence on both the suit and the car. The logo is the thicker version of the bat, the costume stockier and giving off a Miller-esque vibe. It’s actually easier to see more of Ben in the suit, and he looks great, than it is to get a full picture of the Batmobile, but it looks very much inspired by the one from The Dark Knight Returns also. I like it. I’ve got to say, I like the look. It’s distinct from Nolan’s trilogy, but still very much in the mainstream Batman ballpark. Let me know what you think below and Batman vs. Superman will hit theaters on May 6, 2016; the anticipated film also stars Henry Cavill, Amy Adams, Diane Lane, Laurence Fishburne, Gal Gadot, Jason Momoa, Jesse Eisenberg, Jeremy Irons, Holly Hunter, Callan Mulvey, Tao Okamoto and Ray Fisher.